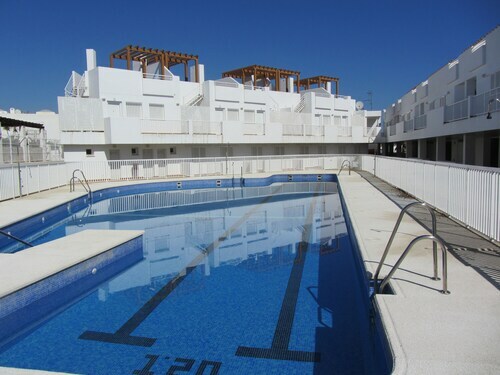 Considered booking a Mojacar vacation package? It's easy with Expedia, and you'll be able to buy a few fancy dinners or presents for your friends back home with the money you save. Would you like to save up to C$590*? Book a package deal on Expedia today! With just a few clicks, you can book everything you'll need for your next adventure via our comprehensive database. And — with more than 400 partner airlines and 321,000 properties from around the world, you'll have the flexibility to mix and match! You can alter your vacation plans with us because we do not charge cancellation fees for almost all of our bookings. We've got all the red hot sightseeing tips for your trip to Mojacar. Grab your travel organizer and prepare to start filling your itinerary. Love to add some greater meaning to your adventure? Make the trip to Santa Maria Church. No matter what your beliefs, it's a great place to observe and educate yourself about the local faith. Visitors in this destination have heaps of options. El Mirador del Castillo is an interesting maze of history-filled halls, chambers and passageways. Step inside, walk across the grounds and try to find out about this grand structure. Still have time on your hands? Watch the water bubbling under a cloak of steam at Fuente Publica de Mojacar. This geothermal curiosity, a result of heated groundwater rising from the earth's crust, is undisputedly one of the area's hottest sights! Wrap up your day of adventures with a comfy bed and a fluffy pillow. 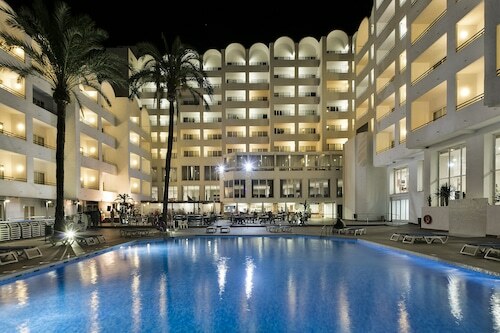 Study the 21 accommodations in Mojacar on offer via Expedia and select one for your luxury getaway or cheap vacation. 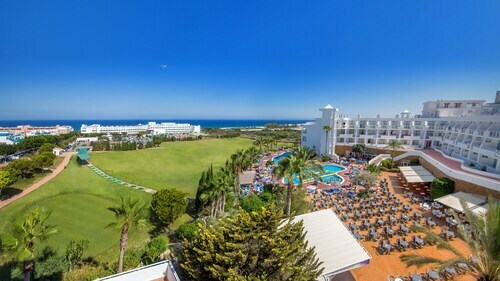 Start your vacation on an opulent note by slipping between the high thread count sheets at the Parador de Mojácar (Paseo del Mediterráneo, 339). 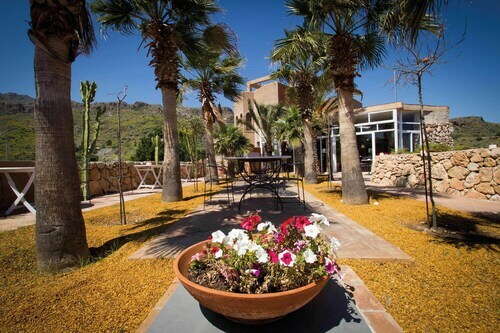 Alternatively, the Tikar (Ctra Garrucha a Vera, 17) is a fantastic place for the cost-conscious traveler to spend their evenings. Nothing comes close to finally disembarking at Almeria Airport (LEI) after sitting down in a cramped cabin for hours. 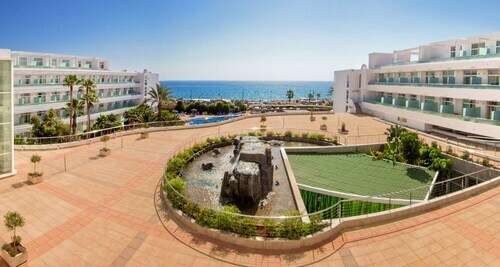 After you've claimed your luggage from the carousel and had a nice big stretch, you'll find yourself just 35 miles (56 km) from Mojacar's heart. The swimming pool water wasn’t clean. Food was okay. This hotel is top of the ratings as far as I’m concerned. We really enjoyed our time there. I would recommend this to anyone. It was a wonderful short vacation stay. All staff were helpful and very friendly. Facilities were well kept up and clean. Next time we hope for a longer stay. Customer service, cleanliness, car park and close to golf club. Situated by the sea, this country house is within 2 mi (3 km) of Fuente Publica de Mojacar, Santa Maria Church, and El Mirador del Castillo. 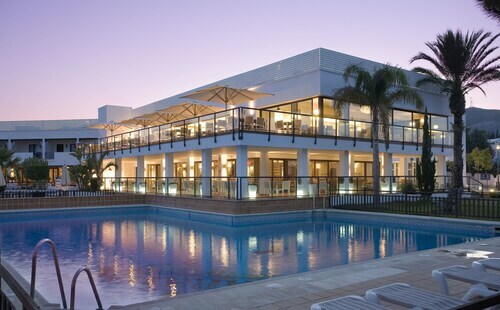 Mojacar Marina Golf Club is 2.8 mi (4.5 km) away. Best Indalo is a great hotel set in very nice grounds. It is close to bars and restaurants. 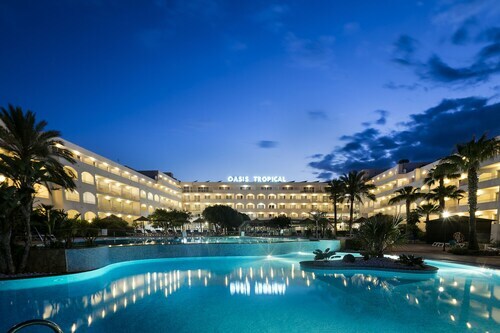 The staff were always polite and very helpful and we will definitely be returning next year. Sun., 23 Jun. - Thu., 4 Jul. Sat., 22 Jun. - Thu., 4 Jul. Wed., 3 Jul. - Thu., 1 Aug.